This dessert classically consists of ice cream enclosed in a layer of sponge cake and an outer layer of meringue that are then frozen until ready to serve, at which time it is placed into a very hot oven to brown the meringue. 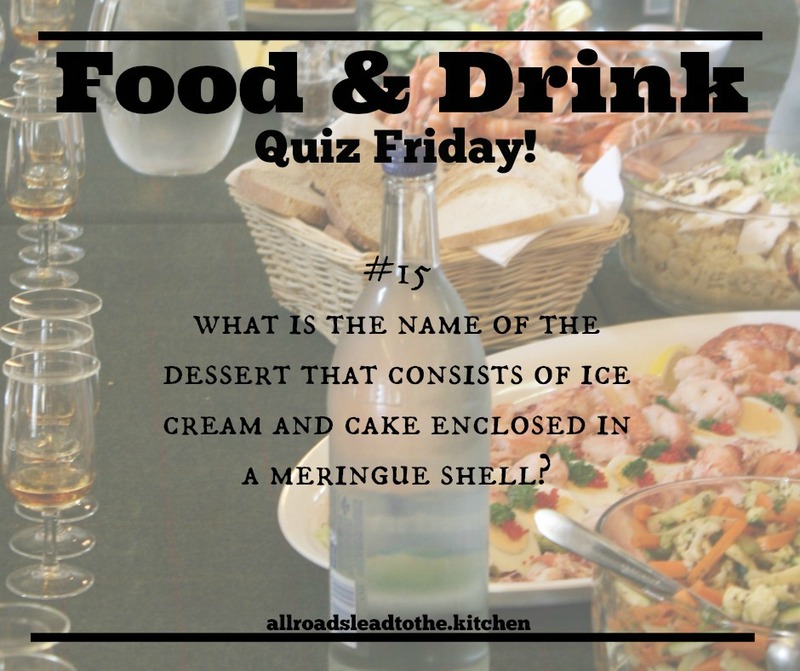 Both the meringue and the sponge cake act as insulators (keeping the ice cream from melted) due to the trapped air in their cellular structures. Although present before 1876, that is when the dessert was served at Delmonico's Restaurant in NYC with the name, in honor of the USA's newly acclaimed territory. Answer to Food & Drink Quiz Friday #14: Cassava Root!